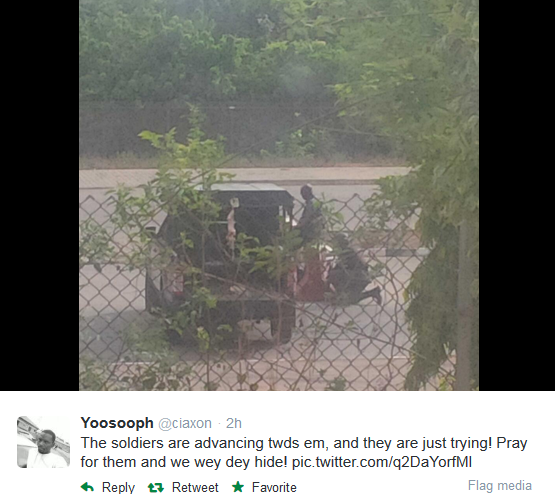 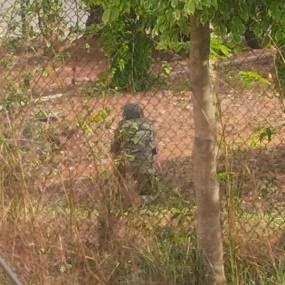 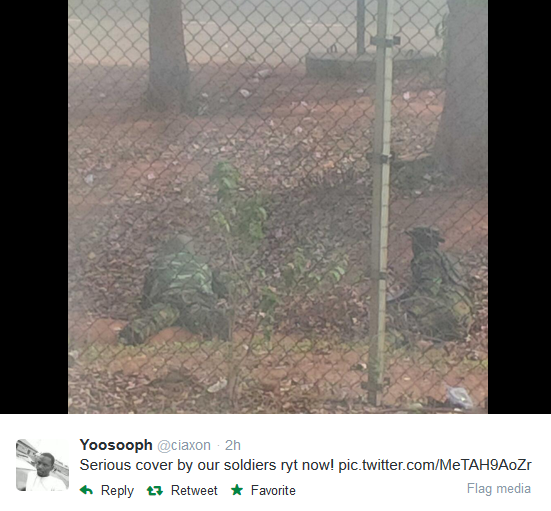 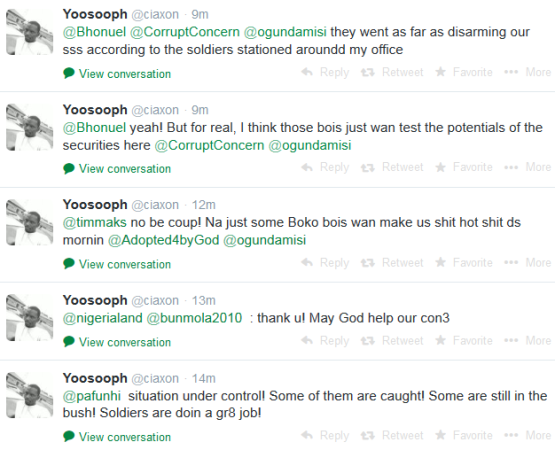 Aso Villa: Heavy gunfire reported around Aso Villa and SSS HQ this morning. 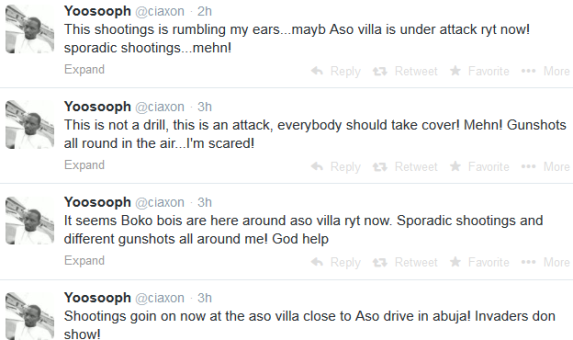 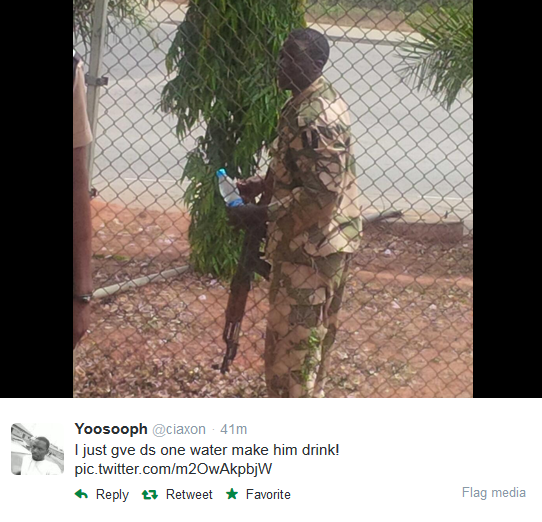 HomeAso Villa: Heavy gunfire reported around Aso Villa and SSS HQ this morning. 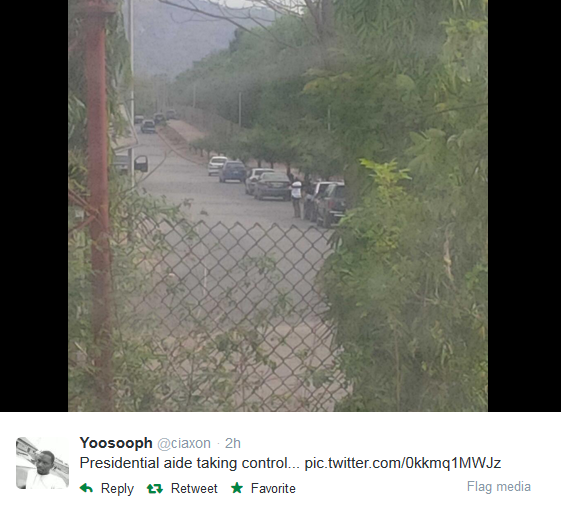 There are reports of heavy gunfire exchanges around the presidential Villa and the headquarters of the Department of State Services in the Asokoro District of Abuja early this morning. 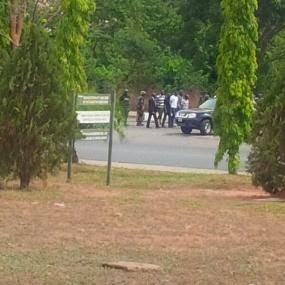 The SSS said the gunshots were triggered by attempted jailbreak of detainees at the SSS headquarters by suspected members of Boko Haram. 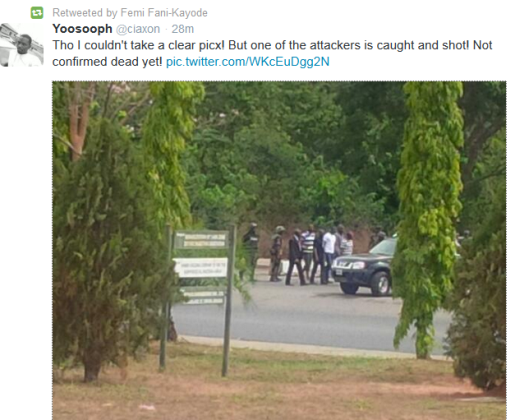 Continue to see tweets and pics from witnesses this morning.